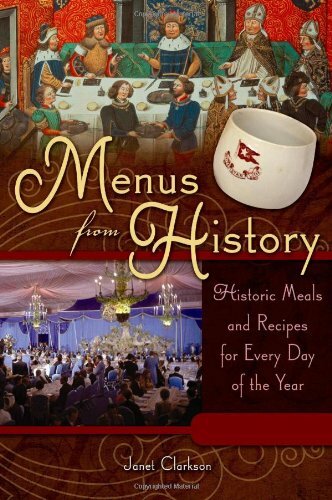 Menus from History: Historic Meals and Recipes for Every Day of the Year was written by Janet Clarkson. Menus from History: Historic Meals and Recipes for Every Day of the Year was published by Greenwood Press. 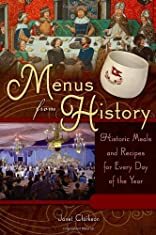 Subjects of Menus from History: Historic Meals and Recipes for Every Day of the Year include Children's All Ages - Reference, General, and Popular Culture - General. About Janet Clarkson (Author) : Janet Clarkson is a published author of children's books. Published credits of Janet Clarkson include Menus from History: Historic Meals and Recipes for Every Day of the Year.